Air leaders Incorporated is a heating and cooling business that specializes in serving the Greater Toronto Area. We are located in the Thornhill/Markham area and we regularly serve clients across the GTA. Once you have used air leaders for your heating and cooling services you will not go anywhere else! Our company has extensive experience and only hires on the best industry-leading professionals for our staff of technicians. Our two owners come from an engineering background with over 30 years of combined experience in the heating and cooling industry. You are in good hands no matter the job that you require and we have seen just about everything when it comes to heating and cooling in this business. No job is too big or too small and we can easily handle residential and commercial units. We have extensive experience managing the heating and cooling needs for large commercial clients as well as valued residential clients. If you are having any kind of heating or cooling emergency we are available to take your call and help you work through your issue. We also provide regular maintenance and repairs for businesses and residential clients in the GTA. Our commitment to high quality customer service, professionalism and integrity has named us among the best in the business and one of the first choices for air-conditioning and heating in the GTA. We are interested in being at the top of our game which is the exact reason why we chose the name Air Leaders. We hope that we can live up to this name for you or your business as well and we will do everything in our power to make sure that you are satisfied. 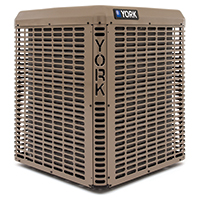 We are authorized dealers of York and Amana heating and cooling systems and we use only the best tools and replacement parts that are available in the business. We don’t believe in taking shortcuts and we only use the highest skilled labor and equipment to make sure that your job is done right each and every time. We also take high priority in saving our customers money. We can offer you solutions to help you save energy and reduce your carbon footprint as a business or individual. By performing regular maintenance on your heating and cooling devices you can work to make sure that they are free of dust and debris and working at full efficiency. Our preventative maintenance and repair packages can help you to affordably maintain all of your heating and cooling systems so that they are not drawing extra energy and costing you or your business extra money. If you are interested in finding an industry-leading Heating, ventilation and air-conditioning service in the greater Toronto area we are simply the very best. We believe in establishing great customer relationships and we have had many of our existing customers remain faithful to us for years. Feel free to contact Air Leaders Inc. to try out our services or for your emergency repairs. Once you try our greater Toronto area heating and cooling business you will not go anywhere else!